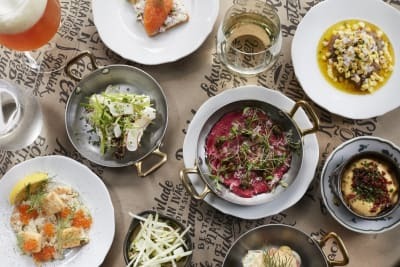 This year, to honour the Lunar New Year, sky-high restaurant Above & Beyond has reached new heights with its collaboration with Hong Kong fashion brand Loom Loop. All the restaurant’s authentic Chinese New Year puddings are wrapped with the exclusive custom-made eco-chic cloth packaging from award-winning design duo Polly Ho and Andy Wong. Inspired by a landscape painting written in poetry, Polly has combined peach blossom and goldfish with vivid colours to bring luck, prosperity and longevity to your loved ones. Each beautiful package contain a mouth-watering pudding made with traditional premium ingredients by Executive Chef Paul Tsui. 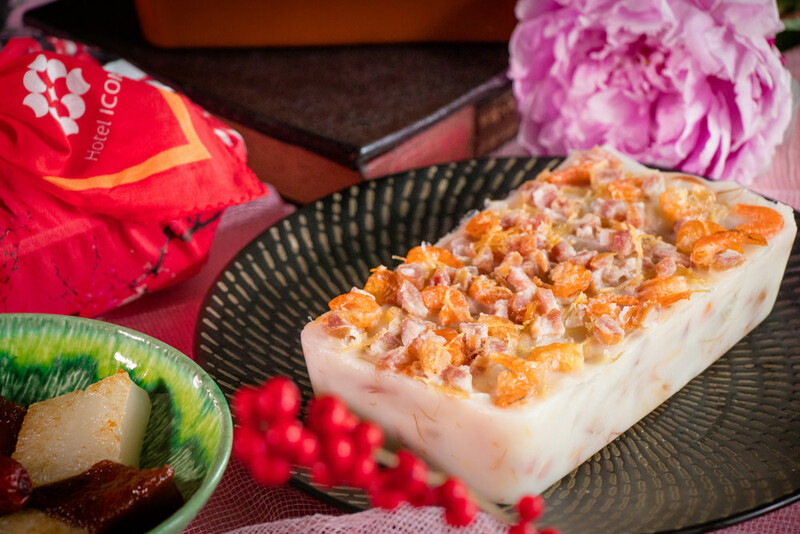 The three pudding flavours – turnip pudding with Yunnan ham and preserved meat, taro pudding with conpoy and preserved meat pudding – are available until 4 February 2019 for $268 each. 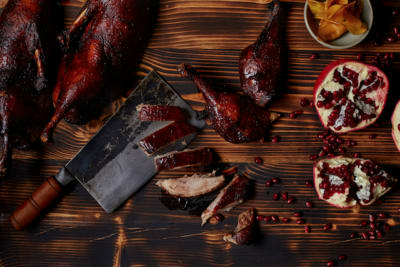 Authentic Chinese delicacies are the perfect gifts for loved ones. Share the joy this holiday with a hamper filled with delights like Australian abalone head and preserved Chinese sausage. Available until 4 February 2019 for $2,398. Enjoy a carefully crafted oyster extravaganza menu with dishes like pan-fried dried oyster with shredded dried bonito. Available until 28 February 2019. Begin the new year by indulging in a delectable set dinner while sipping on a glass of G.H. 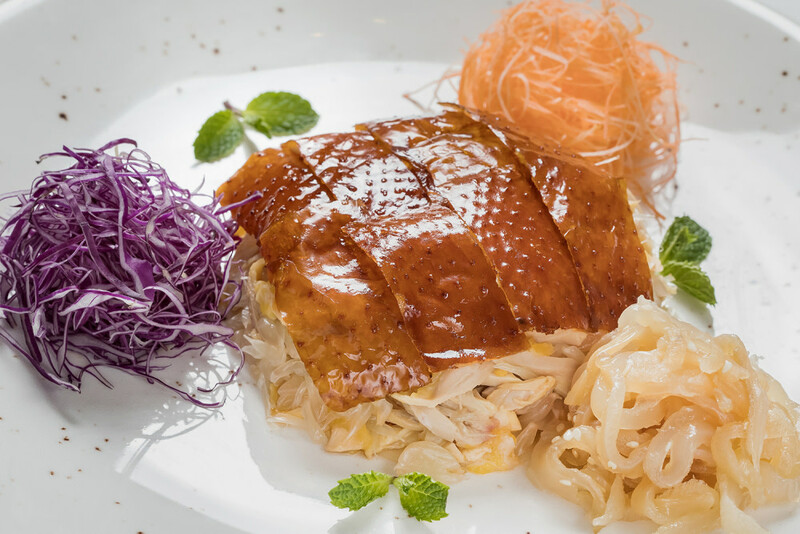 Mumm champagne and delightful dishes such as deep-fried goose liver rolls with truffle and mushroom and steamed sweetened bird’s nest pudding. Available on 6 February 2019. Dress warm and experience the Chinese New Year fireworks by the poolside with unlimited G. H. Mumm champagne, nibbles and live music for a lively start to the new year. Available on 6 February 2019. 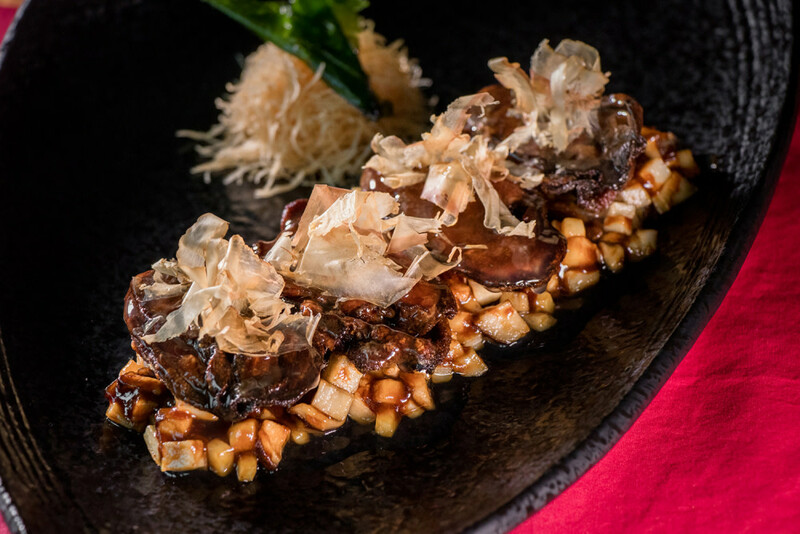 Chef Tsui presents symbolic dishes that harmonise with the Chinese wishes for the upcoming year, to include braised sea cucumber with dried shrimp roe and pomelo peel and braised goose web with Japanese mushroom and fish maw. Available from 1–19 February 2019. For reservations for any of the above, please phone 3400 1318 or email aboveandbeyond@hotel-icon.com.